EstroSense®, 60 vegetarian capsules (Natural Factors) - Penn Herb Co. Ltd.
WomenSense® is a line of products dedicated to helping women reach their full health potential. Estro Sense is designed to support natural hormone balance during PMS or menopause and promote healthy estrogen metabolism. 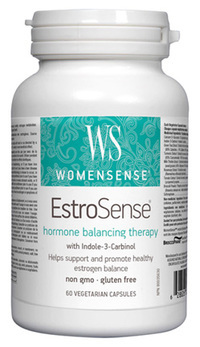 Support natural hormone balance during PMS or menopause and promote healthy estrogen metabolism.